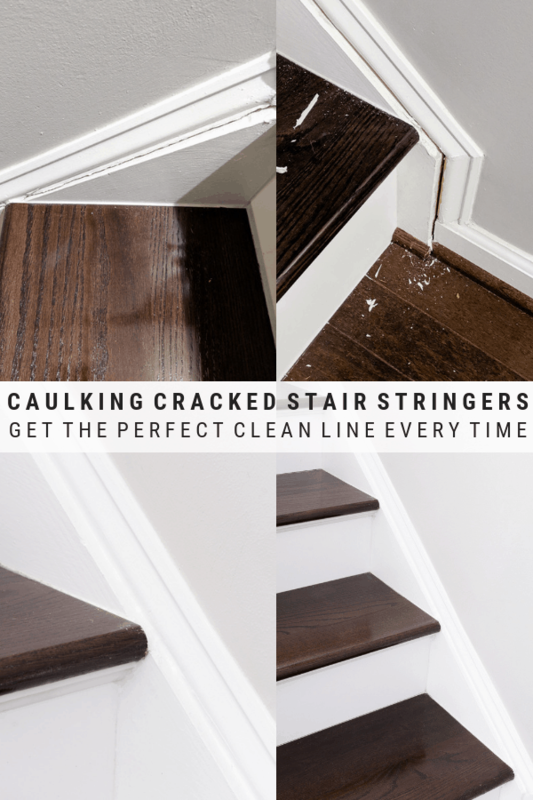 This post shares how to re-caulk cracked stair stringer seams for a beautiful finished look. 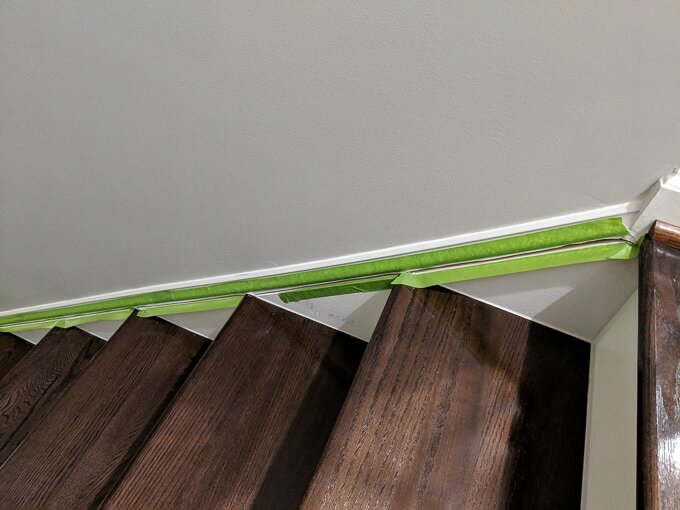 Hey guys, just sharing a quick little tip on how to re-caulk cracked stair stringer seams. 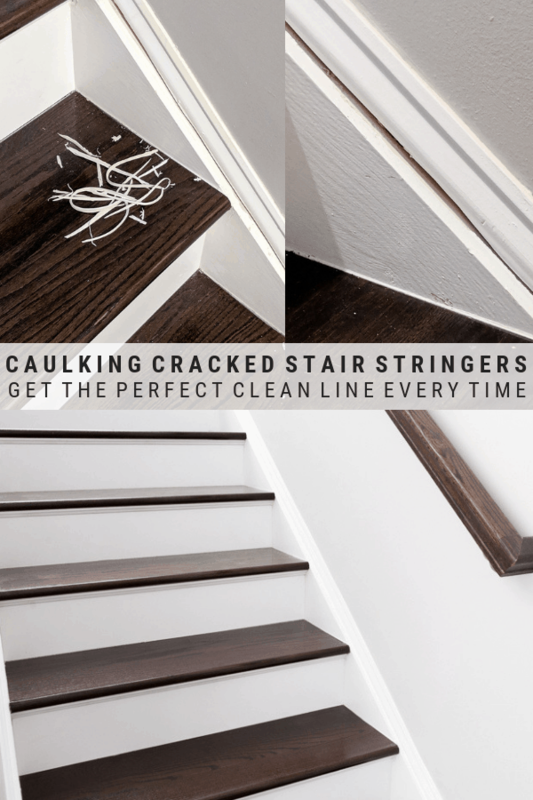 Although we hired out the job of refinishing our carpeted stairs to wood treads, I took on the job or re-caulking the stair stringers and trim. 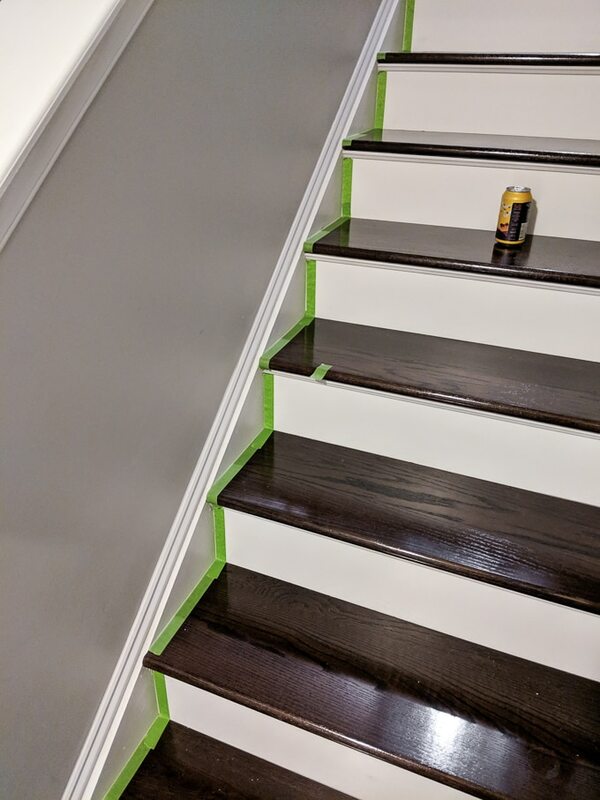 The caulk was cracking, and I couldn’t have that next to my beautiful new staircase! 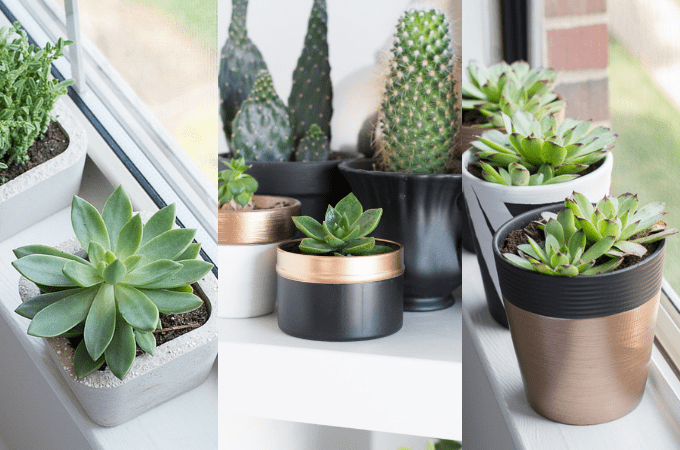 This topic also lines up nicely with this month’s DIY at Home theme of home improvement. 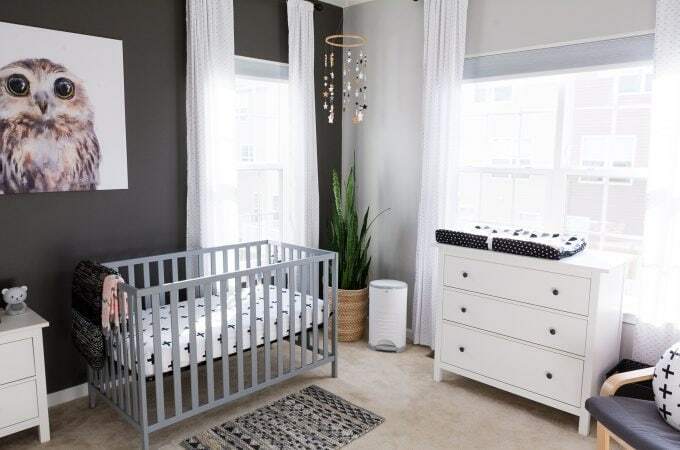 After you check this project out, definitely check out the other projects at the end of the post! 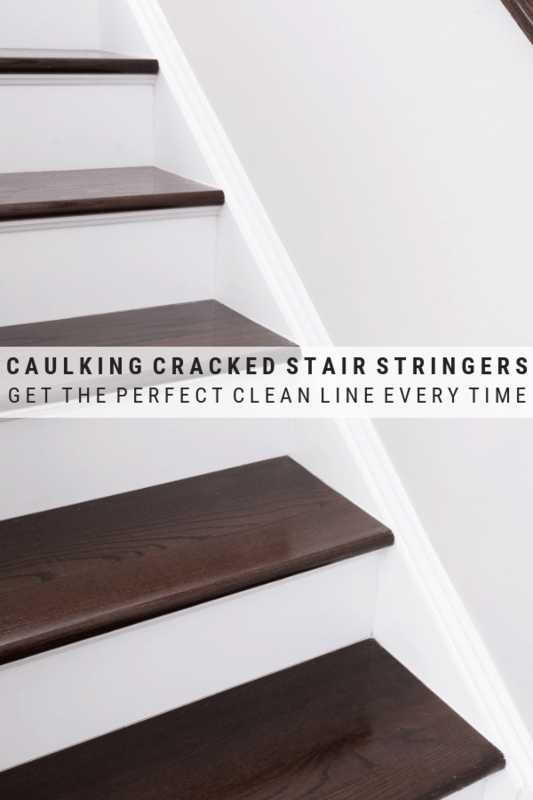 And here’s how to re-caulk cracked stair stringer seams. 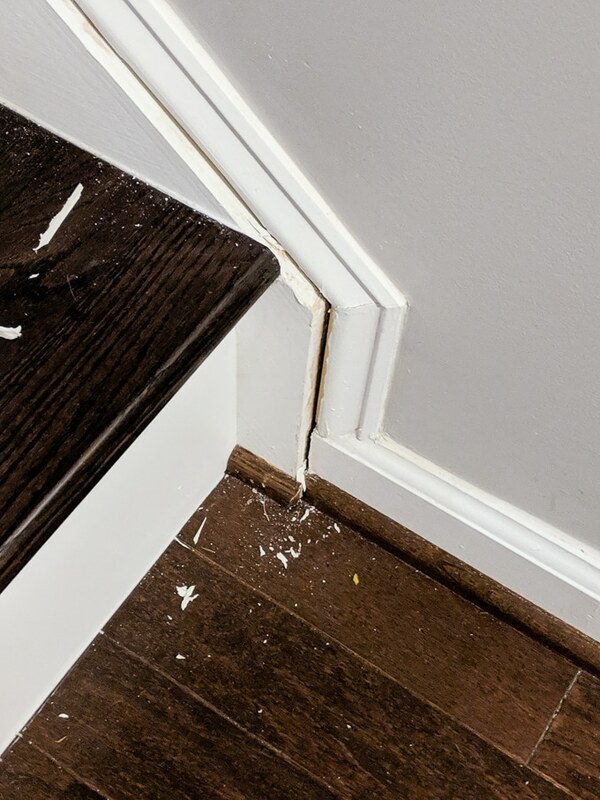 Step 1: A lazy way would be to just run a bead of caulk over the existing cracked caulk. Although I do some things the lazy way, this was not one of them. I wanted the new caulk to last, so I removed all of the old caulk first. 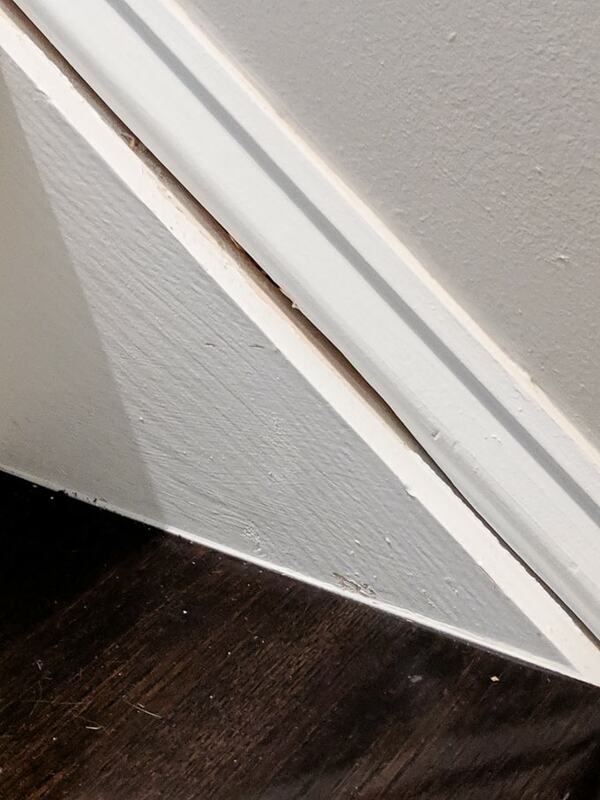 I did that using a utility knife to slice down the middle of the caulk seam and then used the pliers to pull out a starting point. 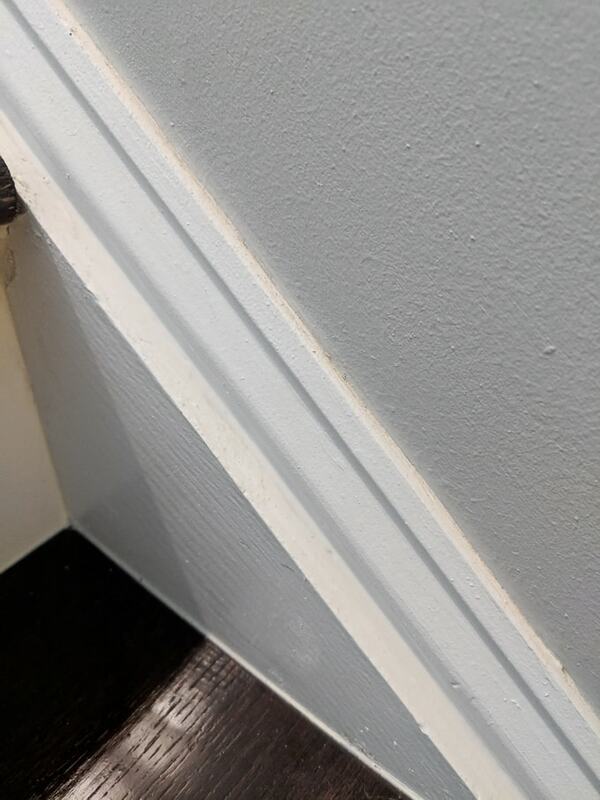 Most of the caulk came out pretty easily, which was a nice surprise. I expected to be picking bits out for a while. 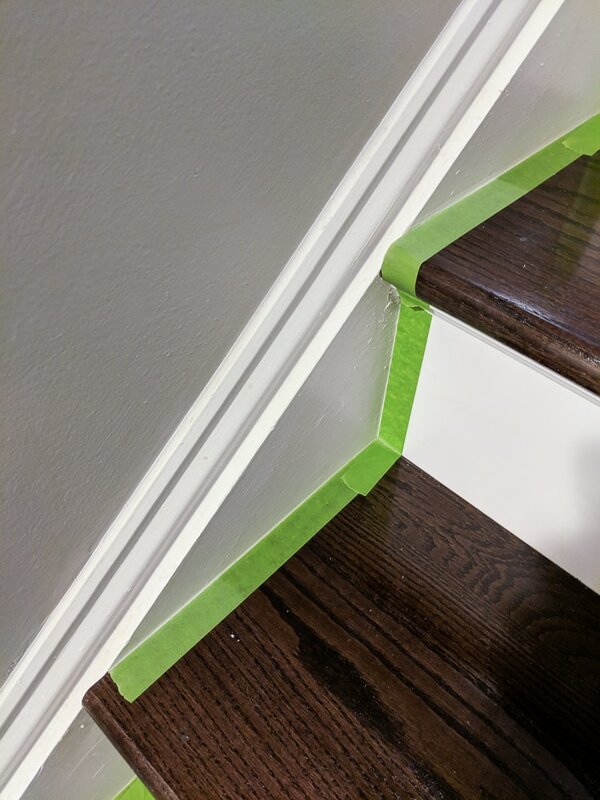 Step 2: Once the existing caulk was gone, I applied FrogTape to create the outline of where I wanted to caulk. This was honestly the most time-consuming part of the process. 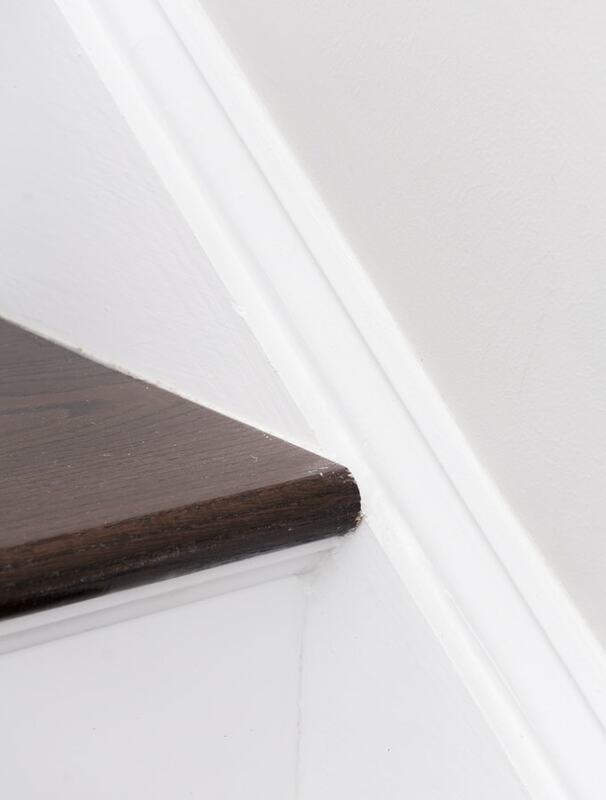 But I’m not a professional caulker, so I always feel like I need the training wheels to get a perfect line. 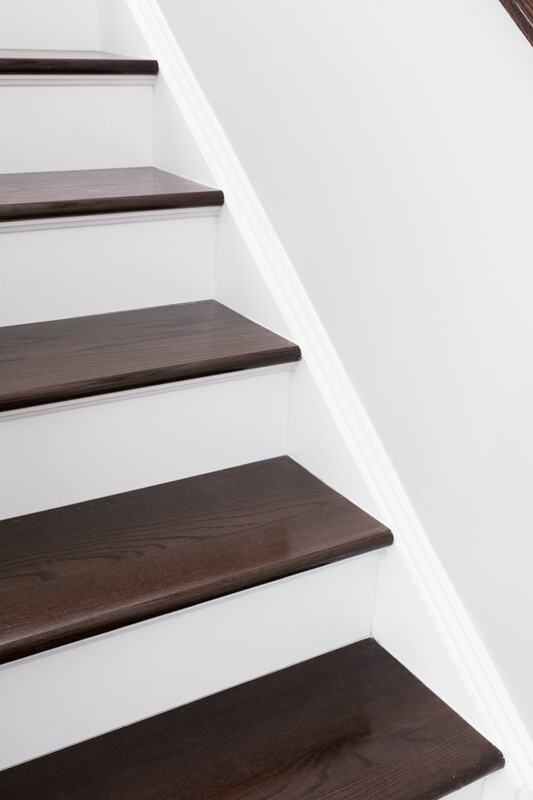 Step 3: I began applying the caulk at the top of the stairs on one side and stopped about halfway down. 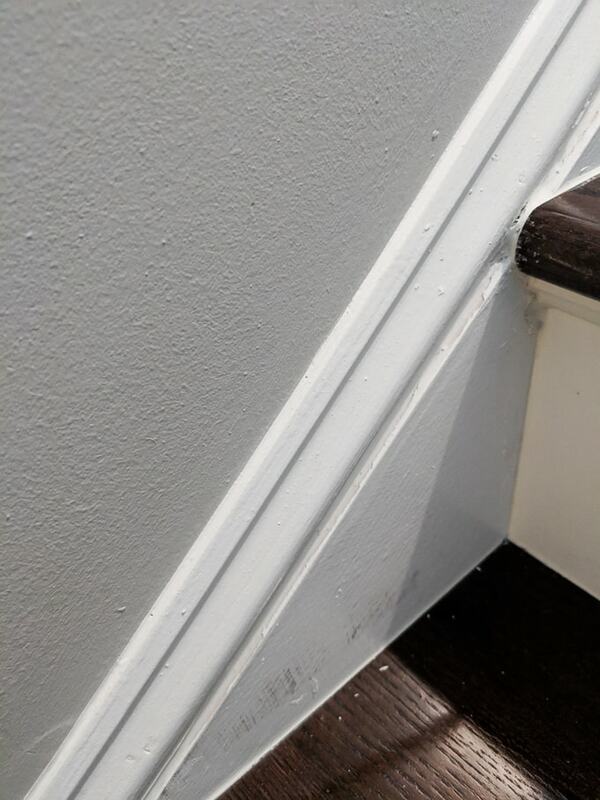 Then I went back to the top, dipped a gloved finger in a bit of water, and ran it along the bead of caulk to press it in to the seam and smooth it out. Just a bit of water helps here. I wiped excess caulk on to a paper towel. 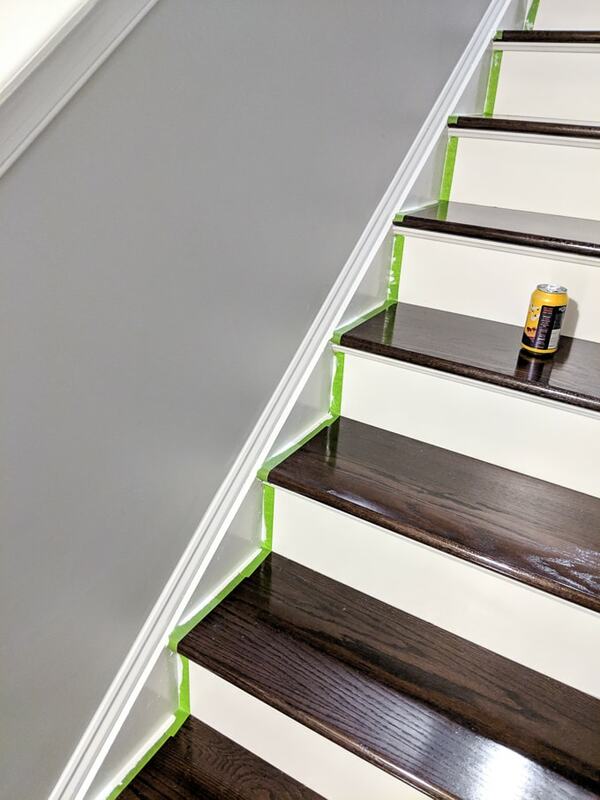 After everything was sufficiently dry, I gave the stringers and trim a coat of white paint to match the existing color, and they look brand new! And there ya go. 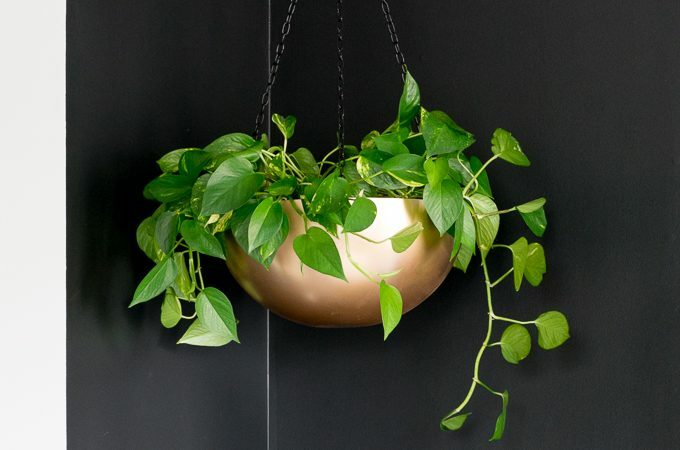 I totally just notice last week how badly I need to do this in my house! Thanks for the deets! Oh I need to do this so bad! 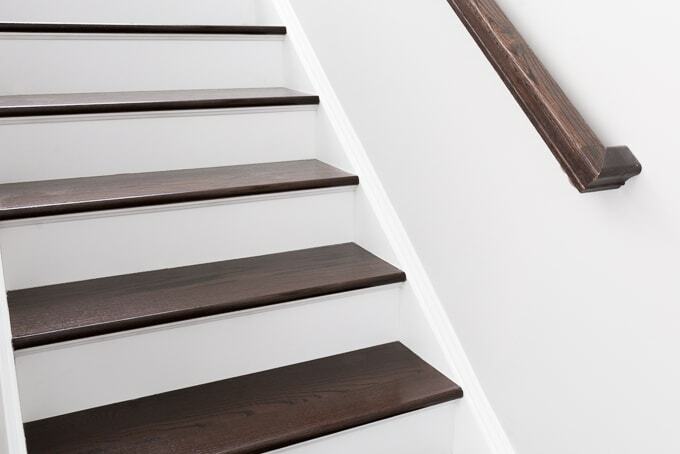 My stairs are looking a hot mess these days! P.S. 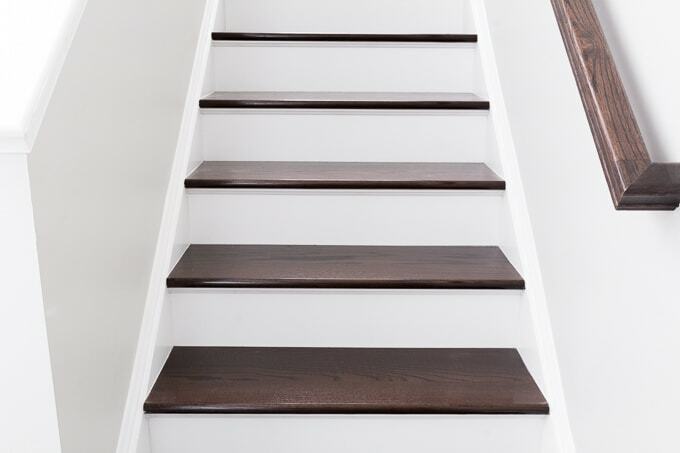 The stairs are sooooo pretty! Very impressive! I love how you have shared so many ideas and details to help us. Pinning for future reference! 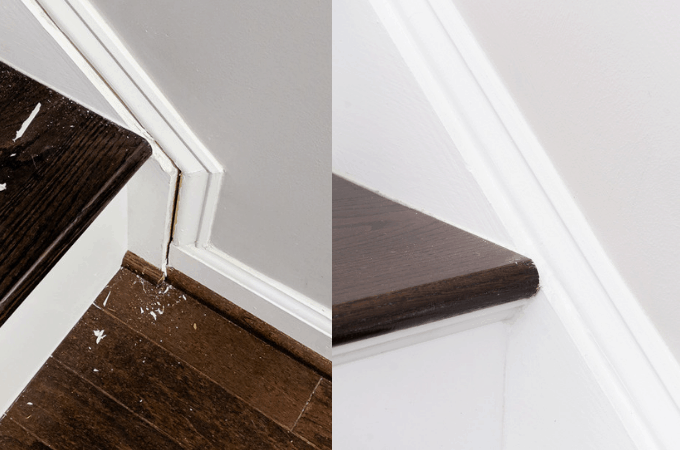 There are so many things in my house that need to be re-caulked… But my stains need a complete remodel. 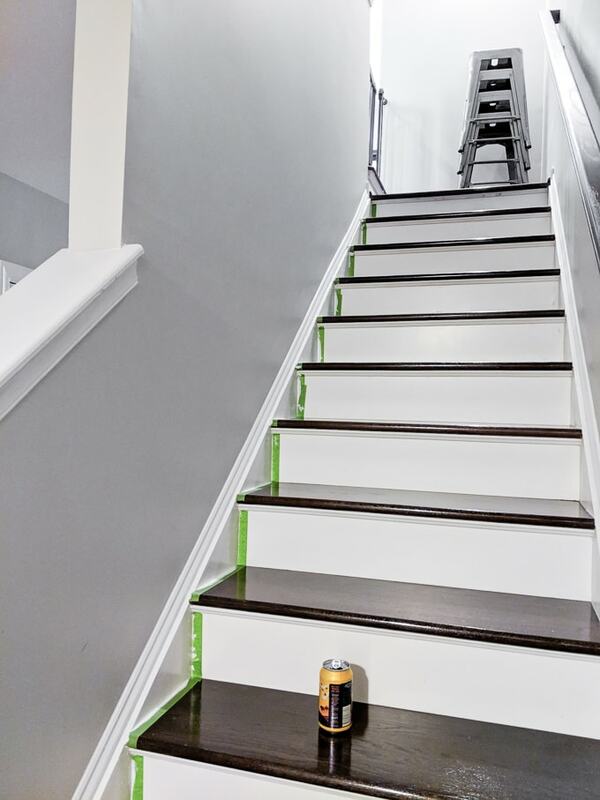 Thanks for sharing your home improvement looks amazing! 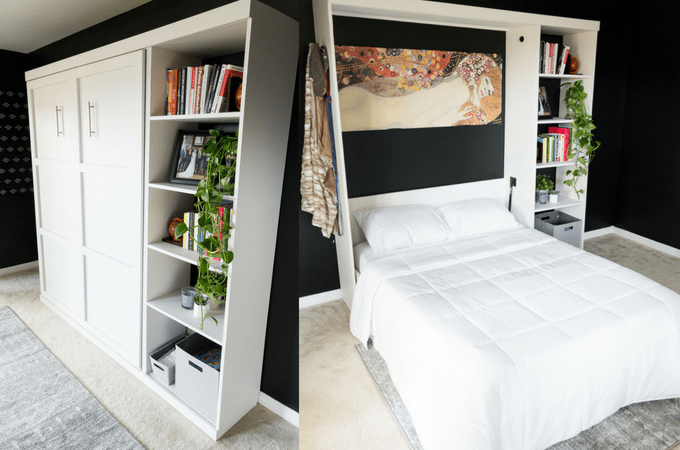 What a huge difference a small little DIY project can make, this turned out Great! 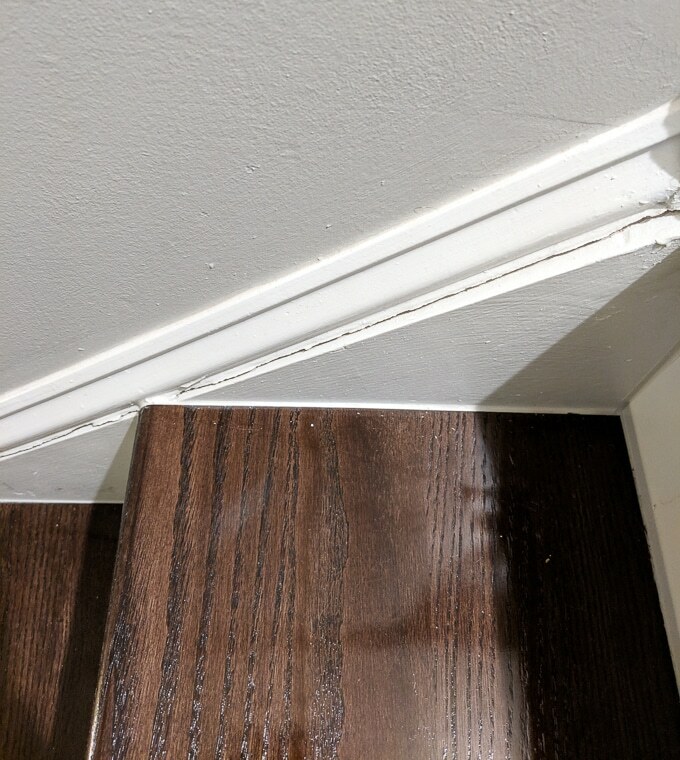 I want to remove the carpet from the stairs in my house, but I scared of what might be under there. This has me feeling like I want to find out. 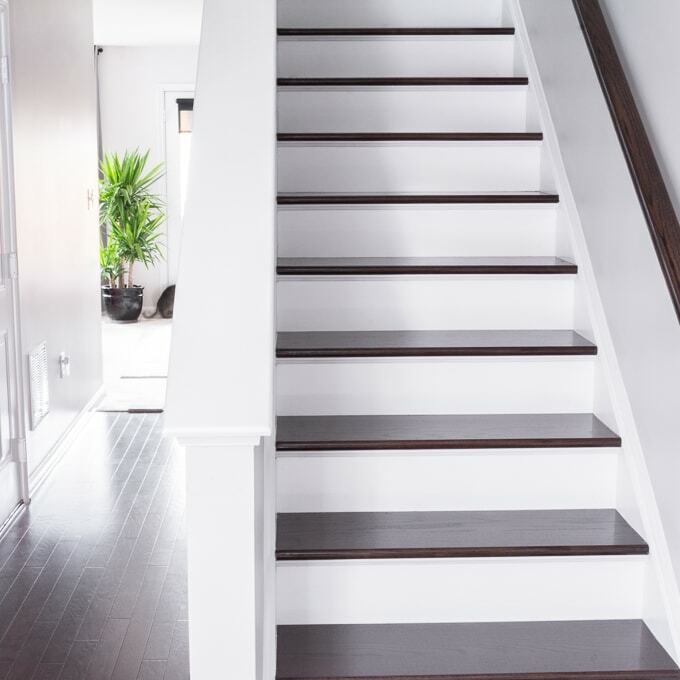 That stairway gets all the heart eyes from me…. You did a wonderful job! I have done mine, but I find it cracks again pretty quickly. 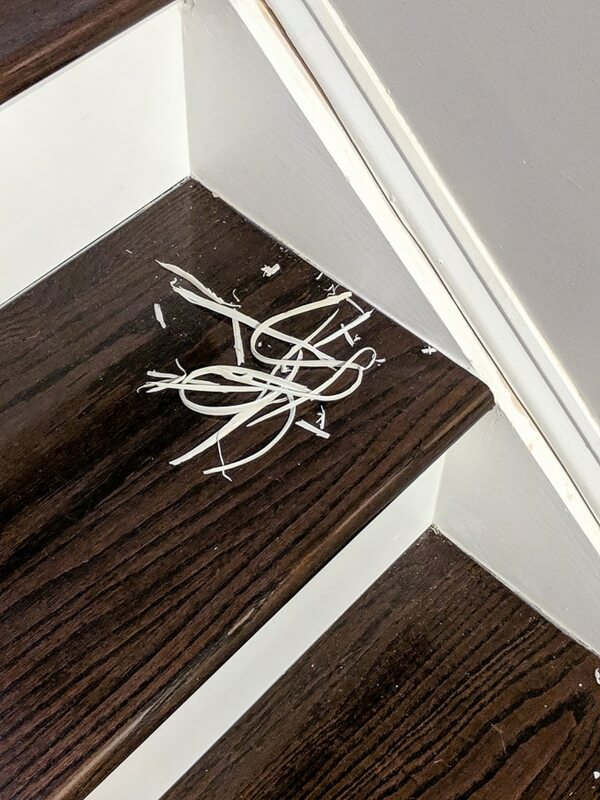 Perhaps I should have used a more flexible caulk because of the stress a staircase undergoes. 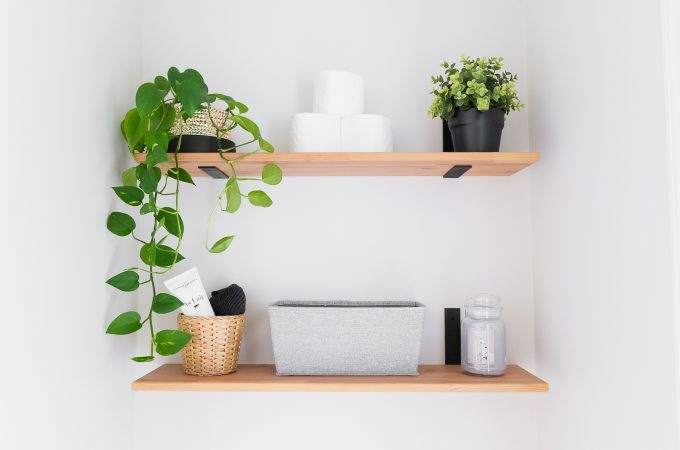 It would be great to hear how your lovely result holds up.